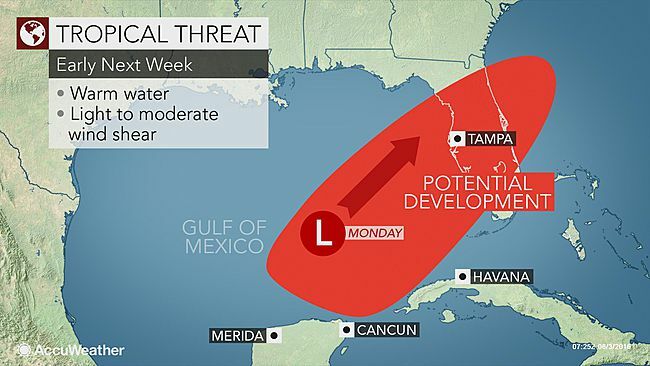 ....for a tropical storm to hit the state of Florida? Could well be. Weather services now reporting a 60% chance of development. If a named storm, it would be Colin and right now our area, Tampa Bay, is right in the center of the projected cone. Likely to be a lower intensity storm with a lot of rain and noticeable wind. If we are overdue, this is the kind of storm I'd prefer!